Virginia bike and wine tour - wine tastings included each day! 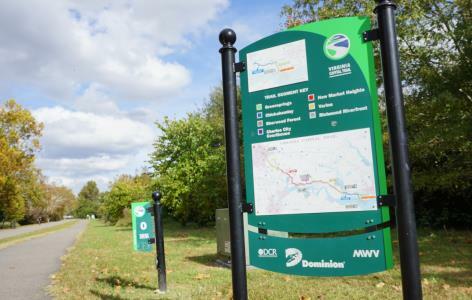 The Virginia Capital Trail (VCT) is a 52-mile trail that connects the modern state capital of Richmond with the colonial capital at Williamsburg. 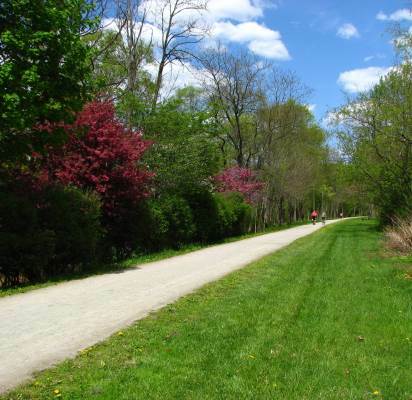 This accessible, paved trail is perfect for a brief biking getaway, whether you’re an occasional rider or a road cycling expert. 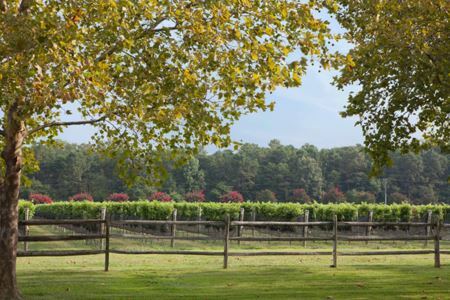 On this tour, take your time to enjoy the history and wines of this region of Virginia. The VCT travels through urban centers, open farmland, historic plantations, and shady woodlands to provide a satisfying bike touring experience. Welcome to the Virginia Capital Trail! Arrive at Wedmore Place, leave your vehicle, and meet your shuttle to Richmond. After a short shuttle ride to the trailhead in Richmond, you’ll spend the day biking and wine tasting. A snack to fuel your morning ride is included. 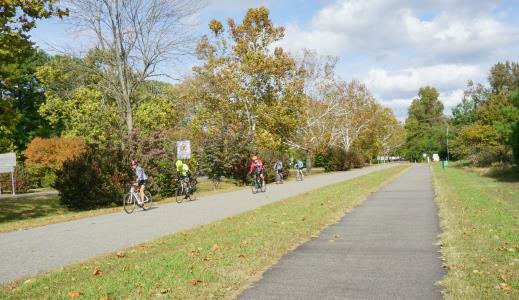 Cycle 20 miles through the rolling Richmond and Varina sections of the VCT. In the afternoon, take a well-deserved break at the Upper Shirley Vineyards* where you’ll enjoy a wine tasting OR can choose to tour Shirley Plantation. After your tasting or tour, bike an easy 10 miles to the Charles City Courthouse and meet your B&B shuttle. Once at the B&B, you can have dinner on site or be shuttled to local restaurant. Enjoy the evening and prepare for your second day of biking! After a full breakfast to start the day off right, you’ll be shuttled back to the trail. Your ride today takes you through the Sherwood Forest, Chickahominy, and Greensprings trail section. The VCT ends at Jamestown where you’ll then bike a few miles along the Colonial Parkway before reaching the shortcut to Wedmore Place, on the grounds of the Williamsburg Winery. Your day isn’t done yet! Check into your room, then walk over to the winery and sample their classic wine tasting (included). You may choose to have dinner on site at the Cafe Provencal* or drive on your own to a nearby restaurant. The Williamsburg area offers a variety of food choices. *A dinner voucher to the Cafe Provencal is included in your trip for use either this night or the next. Please note Cafe Provencal is closed for dinner on Mondays. Today’s activity is yours to choose. If you’d like more cycling, consider biking on the Colonial Parkway to Yorktown, Williamsburg, or Jamestown Island. Local bike-friendly road routes can also be suggested. Feeling like some time off the bike? History lovers will enjoy a trip to Historic Williamsburg or the archaeological site at Historic Jamestowne. Art lovers may appreciate a visit to the Art Museum of Colonial Williamsburg, the Abby Aldrich Rockefeller Folk Art Museum, and the Dewitt Wallace Decorative Art Museum. In the afternoon, you’ll take part in a tour and tasting devoted to Virginia wines at the Williamsburg Winery. (You can choose the Intro to Wines tour if you prefer). This evening, have dinner on site at the Cafe Provencal or drive on your own to a nearby restaurant. If you would like to add any spa services to your stay, just ask when booking your trip. Additional hotel nights can be requested. $775 per person with daily luggage shuttle. Luggage shuttle can be eliminated, please ask for pricing. Trip includes a one-way shuttle between Williamsburg (Wedmore Place) and Richmond; 3 nights of lodging; and daily luggage shuttling. •Solo riders and groups of 6 or more – ask for custom pricing. This trip includes lodging for 3 nights; 3 breakfasts, 1 lunch, and a $100 dinner voucher; daily activities; and transportation/luggage shuttle. Dinner – a $100 voucher (per two riders) to Cafe Provencal at Wedmore Place. Voucher can be used on either night of your stay at the hotel. For non-included meals we provide daily suggestions and will consider your dietary requests, making special arrangements as needed. Please be aware that some restaurants close one day a week, and often that will be on a Sunday, Monday, or Tuesday, depending on the location. 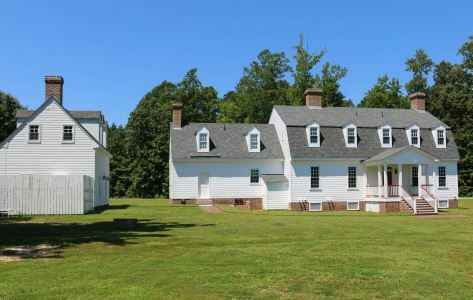 Our Virginia Capital Trail tours utilize historic local B&B Gracefield Hall and Wedmore Place, a European-style country inn on the grounds of the Williamsburg Winery. Hotel nights before and after the trip can be added. 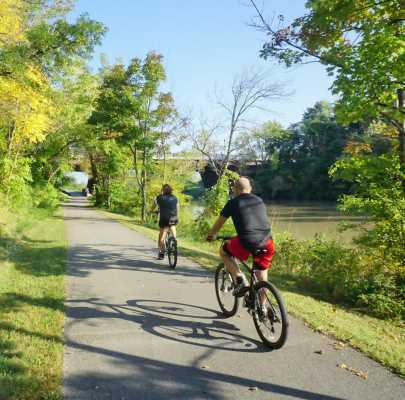 Virginia Capital Trail tours are offered between late April and early November. This schedule is dictated by weather and trail conditions. 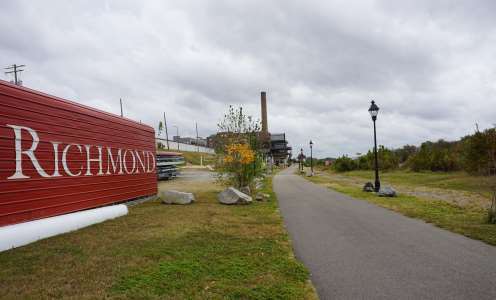 Tours start at Wedmore Place, where riders will meet the shuttle to the Richmond trailhead. Vehicles can be left at the hotel parking lot. 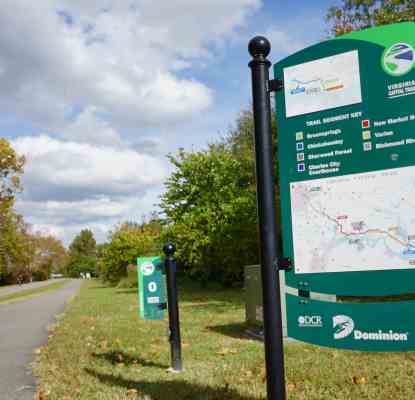 The Virginia Capitol Trail is a paved trail with some rolling elevation changes, mostly in the Varina section just past the city of Richmond. Upper Shirley Vineyards and Shirley Plantation require a short ride on a dirt road, off of the VCT. The Colonial Parkway is a paved but bumpy surface. The parkway is open to non-commercial motor traffic. WHAT IS THE BEST BIKE FOR THE VIRGINIA CAPITOL TRAIL? The paved surface is appropriate for all bikes. Hybrid bikes and road bikes (with wider tires for off-trail) are particularly appropriate for the VCT. Mountain bikes and fat bikes with wide, knobby tires will be quite slow, but could still be ridden. Recumbents, trikes, and trailers will find a wide cleared trail throughout the route. NOTE: side roads to Shirley Vineyards and other plantations off of the VCT are a packed dirt surface and can be rutted; the Colonial Parkway is a paved but bumpy surface. Bike rental can be arranged. Hybrid bikes are $50/day, elite road bikes are $100/day. Other bike rentals and ebike options are available through Richmond bike shops. These options can be found on the Virginia Capital Trail Foundation website. A one-way shuttle from Williamsburg (Wedmore Place) to Richmond is included in all VCT trips. This shuttles typically leaves between 8-10 a.m.
Daily luggage shuttling is included in all VCT trips. If you prefer to carry your own luggage, please let us know and we can update your pricing. Luggage must be ready each day by 9 a.m. and is transferred to your next overnight location by 2 p.m. We request each rider bring one carry-on sized piece (approximately) and one smaller, personal bag. Luggage should weigh no more than 40 lbs per person. Odd-sized and/or bulky pieces such as bike stands, coolers, or bike racks are not permitted. The trip was perfect as far as the pace. It was enough to give us a bit of a challenge each day, but we never felt rushed. We felt very safe on the trail. I had a blowout the first day on the trail and numerous people offered us help and made sure we were ok. When we arrived in West Newton, the bike shop put a new tire on while we waited. Very nice people. Jim also had a slow leak in Meyersdale and the gentleman at the visitor center was very helpful. The only time we used the daily trip notes was getting out of Pittsburgh. They are a must. After leaving Pittsburgh, the trail is so well marked that it was kind of a no-brainer the rest of the week. We really enjoyed the trip. The first rail to trail one we have done and we definitely want to do more. You did a fabulous job and we have already recommended the trip to all of our biking [friends]. Thanks, Sara! We had a wonderful trip! Loved the B&Bs! Each was special in its own way. Lenora met us on the porch with homemade cookies and cold drinks. We enjoyed chatting w/ her and hearing her story. Hanna’s House was very special. I felt like an old friend with Frances. And her house is just amazing. The hosts at Levi Deal were also great, and of course, their Victorian home was spectacular. The bikes were great. Loved the panniers! Loved the bike trail! So pleasant. Very few people using it during the week. Lots of shade and not hard at all. Really great. All in all it was a really fun trip! Thanks so much for making it easy for us!